The right design and decor in a bedroom can make the difference between a sleepless night and a restful one. The room in which most people spend nearly one third of their lives can be a refuge from the outside world. Everything from lighting to furniture placement can influence sleep. 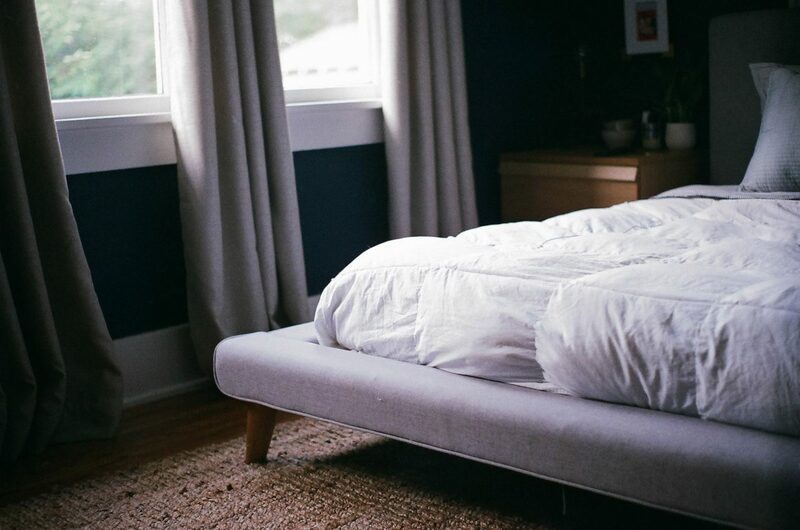 Here is some bedroom-design advice that will help you get the ZZZZs you need. Body temperature drops at the onset of sleep. Though the bedroom shouldn’t be frigid, a temperature on the cool side supports better rest. That means turning the thermostat down at night to between 15 and 20 degrees Celsius. Design and decor can also lower the perceived temperature of the room. Colours are divided into two families: warm and cool, so named for how they affect mind and body. Red, orange, and bright yellows fall on the warm side of the colour spectrum, which tends to stimulate the eyes and make the body feel warm. Cool colours, such as blue and green – especially those in light, pastel shades – can make a room feel cool and calm. In surveys, cool colours have been shown to increase relaxation and sleep time. Use them on walls, in accents pieces, and bedding. Natural light streaming through bedroom windows creates an airiness that opens the space. However, that natural light must be balanced with the darkness necessary for high-quality sleep. Light controls the body’s circadian rhythms. Too much light exposure at the wrong time of day, namely the evening, can suppress sleep hormones. Window treatments that provide control over natural light levels – heavy drapes, blackout curtains, blinds – create ideal conditions for deep sleep. While natural light has the most impact, artificial sources can also alter the sleep cycle. In the past, high-efficiency (HE) light bulbs have emitted a bright blue spectrum light that can cause sleep problems. However, there are now HE bulbs that emit light on a different spectrum while maintaining the modern benefits of these high-efficiency products. Smart bulbs are another way to control light levels. They can be programmed to turn off at a specific time and can be turned off without requiring you to leave your bed. 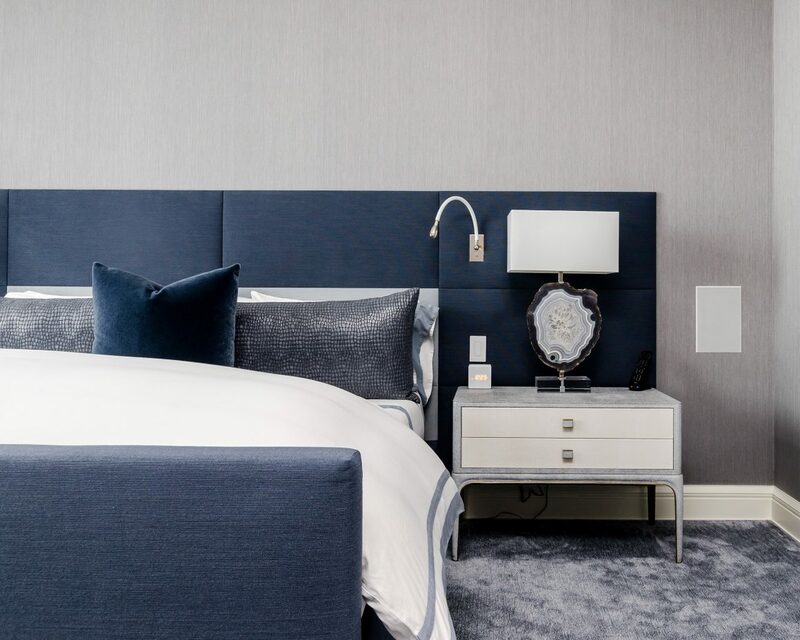 Style and design should never interfere with comfort in a bedroom. Natural, breathable fabrics, such as cotton and linen in cool shades, provide some of the best and most versatile options. 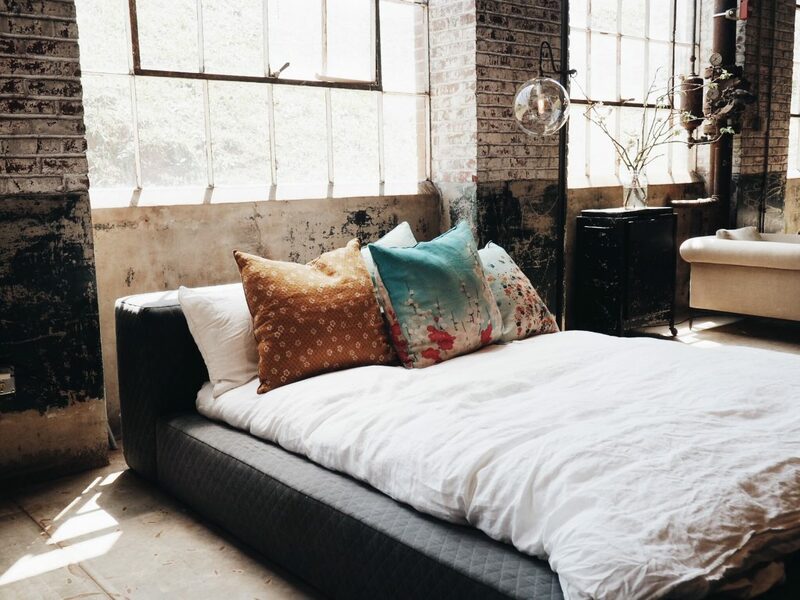 A bed may look sleek and sophisticated, but the texture should be welcoming and inviting. A variety of throw pillows with a mixture of such soft, luxurious textures as velvet, faux fur, or natural fabrics, create an inviting bed that looks as good as it feels. Comfort and design extend to the mattress itself. A quality mattress supports the weight and sleep style of those who use the bed. The bed frame should complement the rest of the room’s design in style and placement, but should afford easy access to the bed. 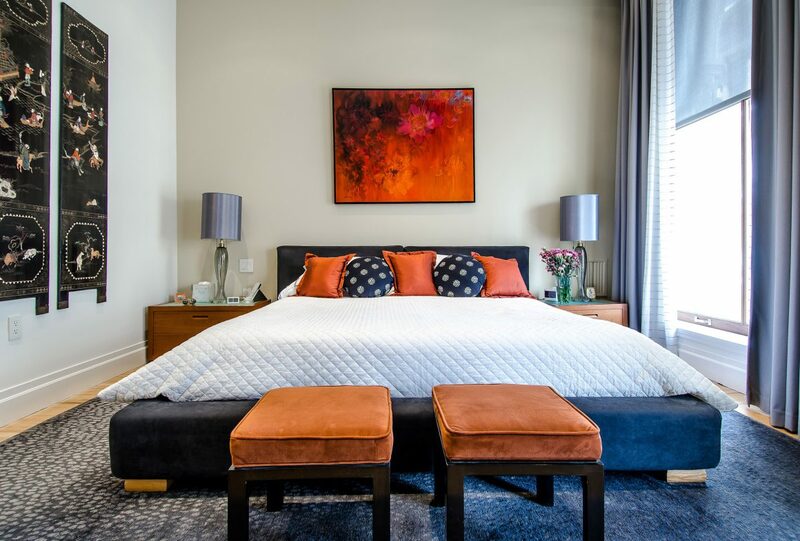 Frames that are too high or low may look aesthetically pleasing but cause difficulty getting into or out of bed and can disrupt the sleep cycle. By turning your attention to colour, light and comfort, you can create the sanctuary you need to get a full seven to nine hours of sleep. Adam Kyle is a sleep expert at MattressReviews.net. A workaholic by nature, Adam was in his late 20s when he realized how important sleep is for good health. He focused on learning everything he could about sleep. Now, Adam specializes in how his environment and his physical well-being affect his sleep. A San Francisco native, he finds the sounds of the city soothing, and struggles to sleep when he’s in quieter environments.